Jacqui Nyman is a performing and teaching freelance musician based in Wellington. She began playing guitar at five years old, bass guitar at eleven and holds a Bachelor of Music in Jazz Performance in guitar from the New Zealand School of Music. 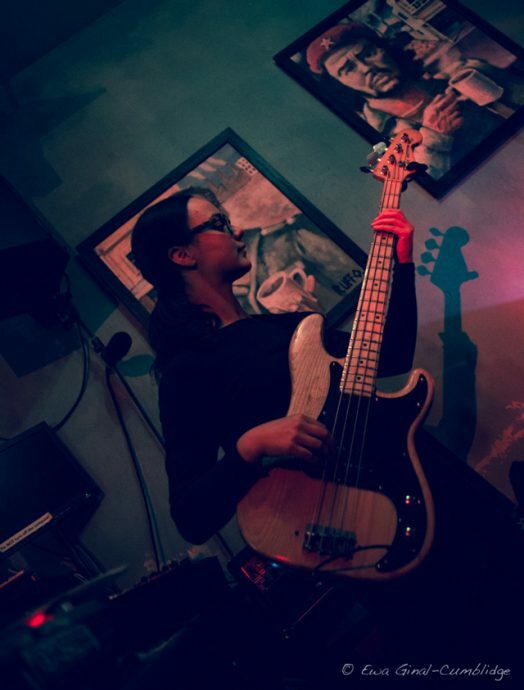 Jacqui is a very active member of Wellington’s music scene and can be heard playing a range of different styles with bands such as Sulco d’Alma, Lisa Tomlins and the Presidents of Funk, Joe Blossom, Fraser Ross, Bazurka and Afrokan. She enjoys teaching music and gives the students the lead in what to study based on their interests. No matter what level they are at, students can expect to improve their musicality, technique, ear training skills, knowledge of the theory of music and have a great time expanding the music accessible to them under their fingertips. Jacqui teaches both Bass and Guitar here on Saturdays.